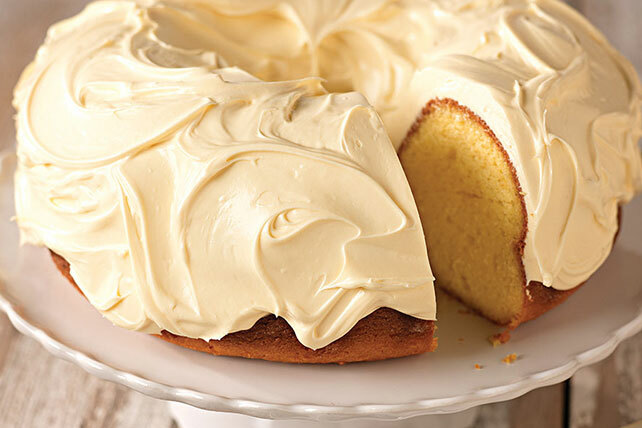 Discover this Luscious Lemon Pound Cake with tart lemon curd frosting. Learn why the world loves lemons when you prepare this delicious recipe today! Bake 50 min. to 1 hour or until toothpick inserted near center comes out clean. Cool cake in pan 30 min. Loosen cake from sides of pan with knife. Invert cake onto wire rack; gently remove pan. Cool cake completely. Spoon lemon curd into medium bowl; gently whisk in COOL WHIP. Spread onto cake.